How to catch cod from the shore. 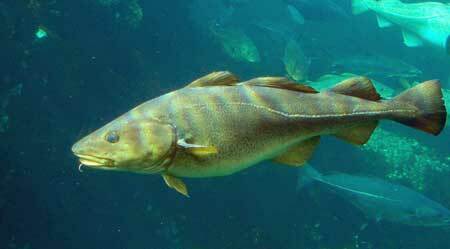 Cod are becoming increasingly rare along our shores as they move further and further into deeper and colder waters. Once these fish reach around the 3lb in weight they are large enough to be caught in boat nets and that is when you really start to notice a dramatic drop in numbers over that size. Cod can be found in the winter months so they are an attractive option when other fish have left our shores for warmer waters. Some places and people call cod below 5lb-6lb'codling'. This is not a fish to target if you're a novice angler. You need to be able to cast longer distances than the average person to stand a chance of hooking one. They don't tend to hunt or feed near the shore. If your casting isn't that great then you need to be fishing from rock marks or piers so you're fishing in deeper waters. Fishing at night can achieve much better results because they feel safer coming closer to the shore in darkness. Saying that they will also come closer to the shore when there is an offshore wind and also when the sea is murky. Spring tides can often achieve good results. Many fish use the flood and ebb tides to obtain a good supply of food. What will you need to catch cod? In winter months it can be very difficult to get hold of live bait, espeically worms. 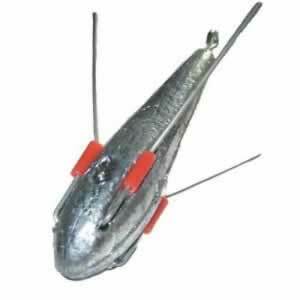 It is worth keeping a frozen supply of baits like squid, peeler crabs and prawns for those times when live bait is difficult to obtain. Keep the line for around 20 minutes and then reel it in and change the bait for fresh bait. Don't keep any of the old bait on, just replace it. For this type of rig I would strongly recommend an impact shield which will hold your hook and bait when casting and will release them on impact. Very useful when you are long distance casting! If you're fishing rocky marks you should buy some break-away weights which give you a better chance of retrieving snagged rigs. If the sea isn't rough look for white water near rocks and gullies. Cod can hunt in very shallow water so don't worry if the white water isn't that deep. Try using two rods, one long range and the other short. Cod can come very close to the shore so try doing both at the same time. If your location has any dirty or muddy parts of the sea aim to fish those parts. Cod don't like clear water. Cocktails of bait (like lugworm and squid) can work really well. Don't stick to one type of bait if nothing is happening.